¡Bong! Even over Skype, the weeping of the National Health Service's Chief Transformation Officer could be heard even over the sound of the breaking waves here on Seven Mile Beach, Grand Cayman. No, there was no mistaking it, even over the pops and crackles from my prototype Microsoft Surface 5 Azure Edition (“always helping you by always watching you”), loaned to me by the Microsoft CEO himself, and which Satya explained were attributable to the beta audio drivers. Your important files are now in a file format that is now longer supported. Please renew your Enterprise Agreement. Contact your Microsoft Health Sector Solutions provider for details. 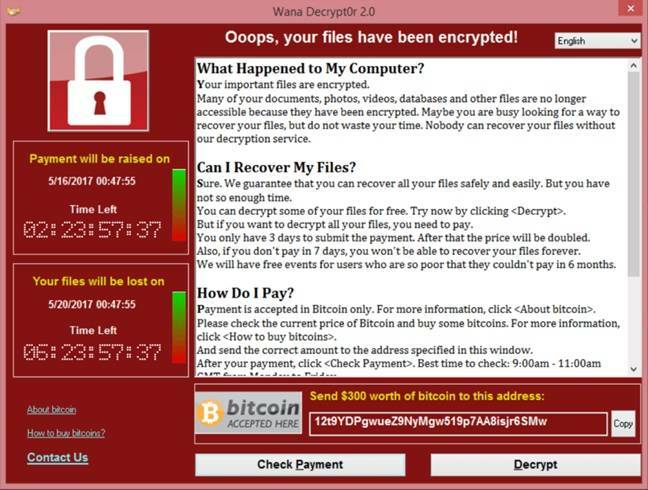 Like the nation, I had winced when I saw the ransomware demands popping up on our NHS computers. Who chose that colour scheme? Yellow on red? Just who thought to chose a serif body font? The whole thing was a UX nightmare. If only they’d asked me… but, recalling how my experience with the Caliphate's crack designers, I closed down that train of thought. Mike Butcher, Dame Martha Lane-Fox, Jimmy Wales, and the theatrical agent for Sir Stephen Fry, whose balmy voiceovers would soon be needed to soothe the soul of a cyber-ravaged NHS. Joining us on a parallel FaceTime call was the leader of Britain’s most advanced digital company, the Co-Operative Group*, Sir Mike Bracken. I had narrowly escaped death in last year’s Government coup, as the Maximum Leader, Theresa May, ruthlessly purged the Cameroon Old Guard one by one, underneath a sports stadium in NW8. I had escaped - leaving my many digital businesses in the small but capable hands of my assistant มาลัย (which means "Garland of Flowers" in Thai) - solely because of a stunningly rare medical condition, and at great personal cost. My body’s extraordinary ability for hepatic regeneration means that I literally now keep the Prime Minister alive. Yes, there is a piece of me inside Theresa May. Just hold that thought. What Rudd wanted to know was just how, with the UK's world class government digital services, and so many world class brains freely sharing ideas at TEDx talks and drinkathons, "how had we been blindsided?" "The solution is so obvious it has been staring us in the face all this time," I announced. The faces now looked expectedly to me. “It is obvious that in an era of social, then conventional notions of ‘confidentiality’ are no longer fit for purpose. Ownership belongs to the past." "Now think just what leverage the ransomware operators had: they locked up our confidential data in DRM. Now think how much leverage they would have if we didn't care what they did with that data." There were gasps around the table as the audacity of my plan sank in. “And anyway, Google wants all the data,” I added. “for the very good reason that it can beat Microsoft to curing cancer. Which both will achieve within a couple of years, max”. "But who can implement such a plan?”, asked the former Bomis Babes masterminding sole Wikipedia founder, and, who was now selflessly dedicating himself to saving journalism by collecting as much money as possible from wealthy foundations. “I’ve called him already and he’s waiting to be patched in,” I replied, trying not to look too smug. A new face appeared on the Skype call. “Greetingsss from the Ecuadorian Embassssy in London,” hissed the voice, making a horrible swallowing noise in his throat. There was no mistaking the six-fingered albino cyber-superstar before us, but he looked different from how we had remembered him. Like Gollum, years in captivity had given him huge bulbous eyes, and his skin appeared almost translucent. “Steve. Jimmy. Martha. Mike. Other bloke. Home Secretary… great to see you,” said Assange. “I am standing by. There is just one small administrative problem with me helping save the NHS from cyber terrorists…"
Entrepreneur and thought pathfinder Steve Bong is the founder of BongVentures Digital Health and has been pioneering digital social transformation for a decade. He featured in the movie Jobs, and curated both the 2012 Olympic Ceremony and Lady Thatcher's Funeral. He is on extended leave from Shoreditch, citing a new hostility to entrepreneurs.